Well, August 25 was a red letter day in burgerdom for me. I had to be in Detroit on business and I knew I’d have a couple of hours, post-meeting, before I caught my plane. On my way from the airport, I had to make a U-turn when I missed my turn due to a road closing. 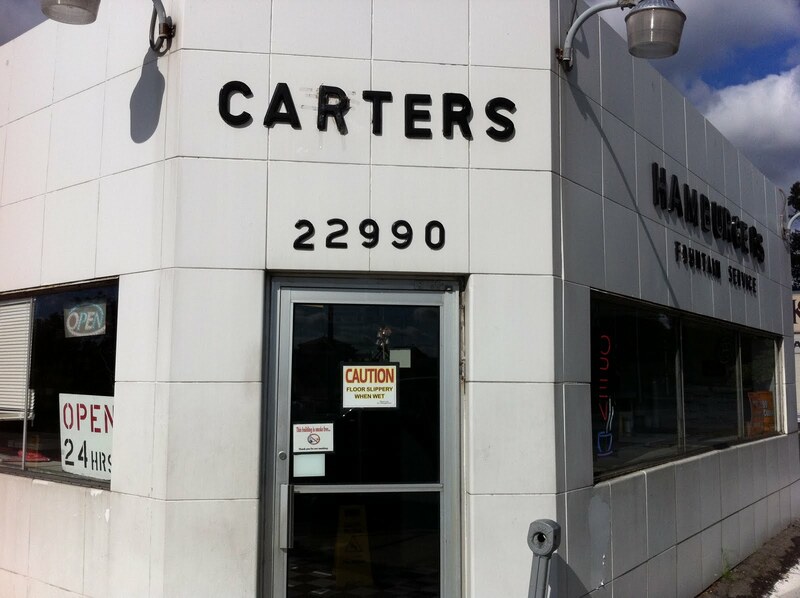 While I’m sitting at the light waiting to get back on M-39, I see Carter’s Hamburgers out my window, on the access road. 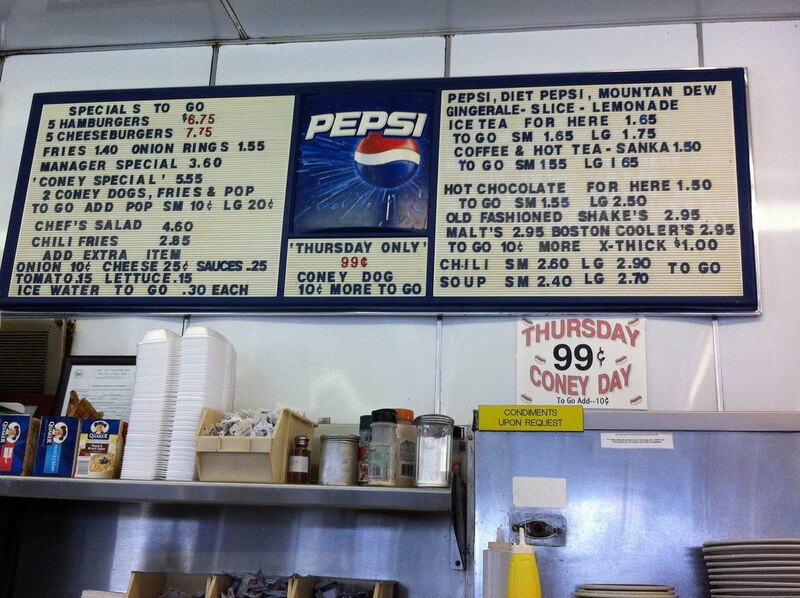 Walking in, I see that they are open 24 hours, and I’m in luck because Thursday is $0.99 Coney Day!! So I order a double with cheese, fries and, since it is Thursday, a Coney Dog. 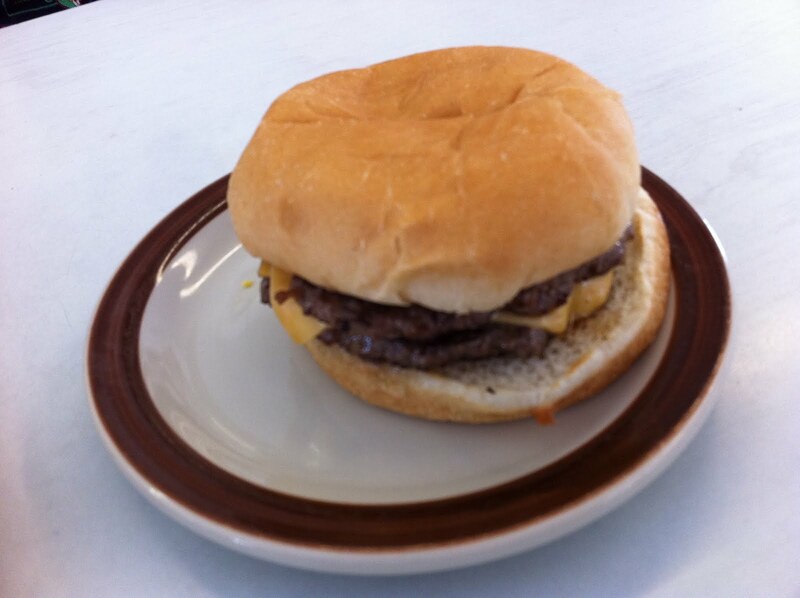 The burger was good, crisp edge with a moist bun. The two things I noticed about Michigan burger joints: they love Spanish onions (every place I went had grilled onions for the burgers and assumed you wanted them) and they’re Pepsi people. The latter would ultimately lead to a problem for me, and one more reason to not live in a place where it gets that cold in the winter. I asked the waitress what, exactly, makes it a “Coney Dog”. 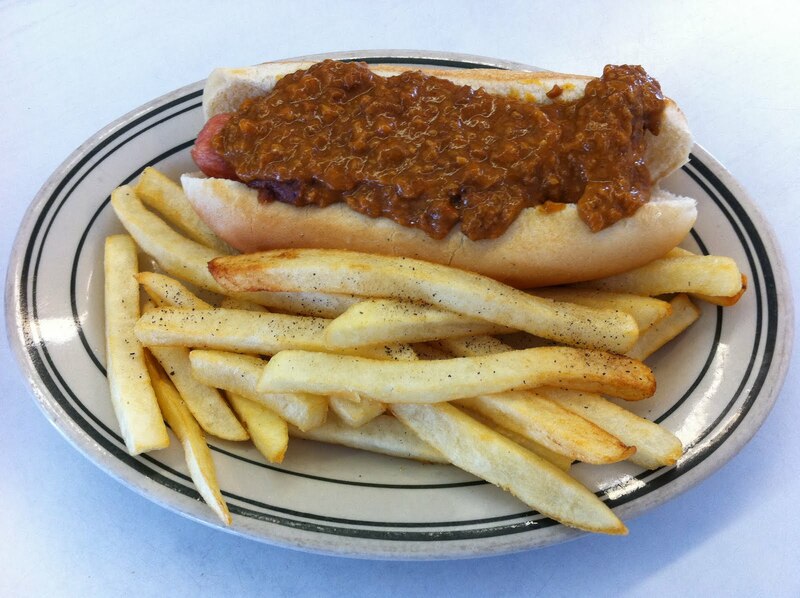 What makes Coney chili different from regular chili? After another three or four minutes of pulling answers out of Gabby Hayes, she divulges that the chili recipe is forty-nine years old, too. The chili was really good. Kind of like a yellow-jacket dog, or one from the Varsity. Apparently, the key to a good chili dog IS “no beans”.